8-31 update: I can't find the hosting blog so I'm not going to stress anymore about finishing this one. 11-5 update: found it again! Link up to participate and add additional links any time you post about the challenge or post about a book you read for the challenge. 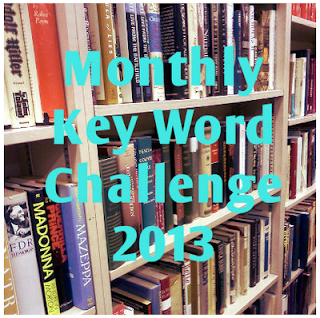 I've joined the monthly keyword challenge too. Look forward to seeing what you read! New follower here!